Frances Taifoe pulled off one of the biggest career wins as he ousted 5th seed Kevin Anderson of South Africa in the second round of the Australian Open 2019. The 20-year-old American, who had earlier registered a straight sets win over qualifier Prajnesh Gunneswaran in the opener, rallied from one set down to pull off a 4-6 6-4 6-4 7-5 conquest of Anderson. It wasn’t without an awkward moment though. During a changeover, Tiafoe was on his way to the courtside bench with perhaps his eyes closed when he awkwardly tripped over a ball boy. Earlier in the match, Tiafoe was seen asking a ball boy to fix his necklace that got entagngled in his t-shirt. 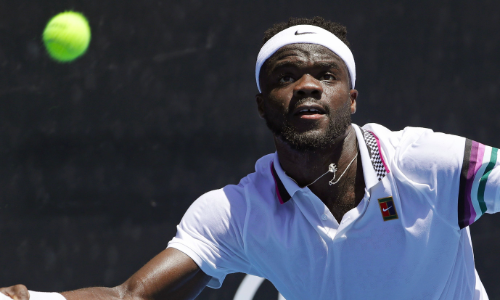 Reflecting on his win, he later said: “These are the matches where they kind of define you and help you feel more and more comfortable to keep winning matches like that.” Tiafoe will face Italian Andreas Seppi in the third round.